Danielle’s career at FPC took shape as an extension of her own health and fitness journey. After spending years watching her brother, Tyler, cultivate his niche as a strength coach and make his mark as a business owner, she was honoured to accept a position at FPC in 2018. Danielle graduated high school in Winkler Manitoba, but grew up living in multiple cities across western Canada. Danielle ventured out to Lethbridge Alberta for her first year of university as a recruit for the Women’s Lethbridge University Pronghorns. She went on to complete her university sport eligibility at Providence University-College and completed an undergraduate degree in English and Psychology. Following University graduation, Danielle pursued her passion of athletics and fitness earning certificates as a Personal Trainer, Yoga Instructor, and Group Fitness Trainer. Before her time working at FPC, Danielle made multiple visits to Brandon and was often treated to a workout at FPC. On occasion Tyler would even put Danielle through a workout, which never failed to keep her on her toes. It was the challenge of those workouts that hooked her along with the quality time spent next to her big brother. And thus, her bond to the facility grew strong. 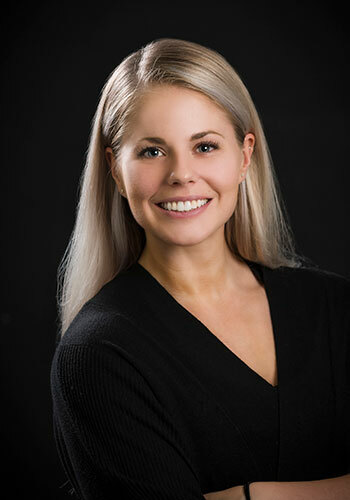 Prior to arriving at FPC as a personal trainer, Danielle gained experience working with athletes at the University of Manitoba, senior citizens at the YMCA and group fitness at the Winnipeg Winter Club. She currently embraces a large variety of clientele, from athletes, to seniors, to people looking to make lifestyle changes. Danielle believes in health as a lifestyle, one that should be fun, maintainable, and achievable for anyone. With this, each person’s journey to health will look different. She enjoys the challenge of helping each of her clients on their individual path.